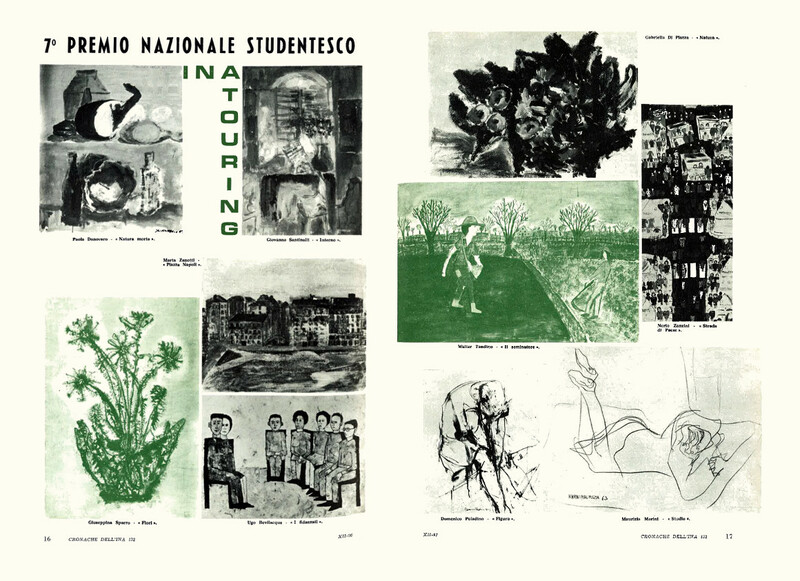 The INA-Touring prize competition for student art was launched at a Bormio (in the province of Sondrio, north-west of Italy) primary school at the end of the 1950s, during a skiing event. It was originally for students from Lombardy alone, but was later opened to students from all of northern Italy. In 1961, 2,427 works, including paintings and black and white drawings, were submitted and exhibited in the Permanente Art Museum of Milan. In 1962 the competition was extended to all of Italy and widened to include secondary and art schools. 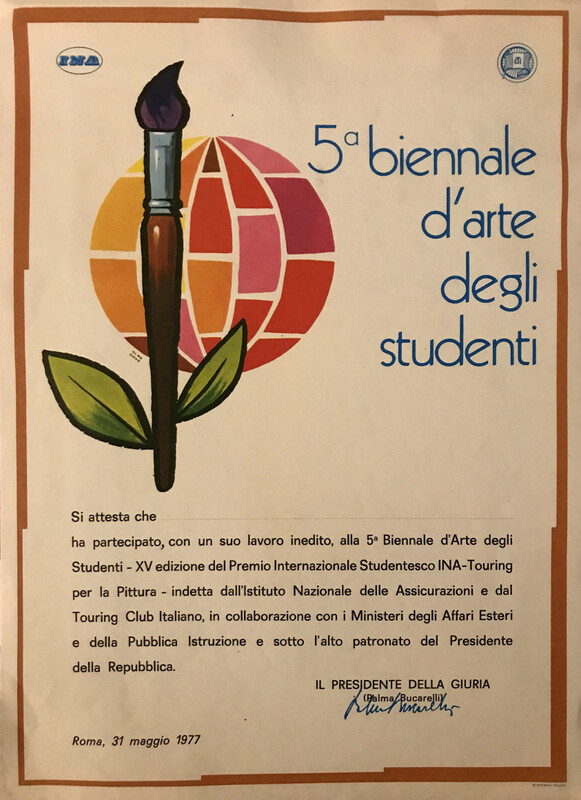 It was extended further in 1966 to include the schools of Italians abroad (for the ninth competition the prize was renamed the “INA-Touring International Student Prize for Painting”). In 1969 a retrospective tenth anniversary exhibition, containing eleven thousand works, was held in Florence at Palazzo Strozzi, then owned by INA, and in 1970 the Ente Manifestazioni Milanesi staged the first biennial exhibition (covering 1968/69) in the Royal Palace, Milan. Thereafter the prize was awarded every two years. The small catalogue for this exhibition offers an interesting insight into juvenile psychology. In the introduction, Palma Bucarelli, director of the Galleria d’arte moderna di Roma from 1941 to 1975, outlined the purpose of the competition: “it is not about discovering child prodigies who paint like Giotto, but about teaching the young to view the world non-passively and to interpret it, to realise that observation alone is not enough, and that to influence its development we must continually imagine how things might be”. 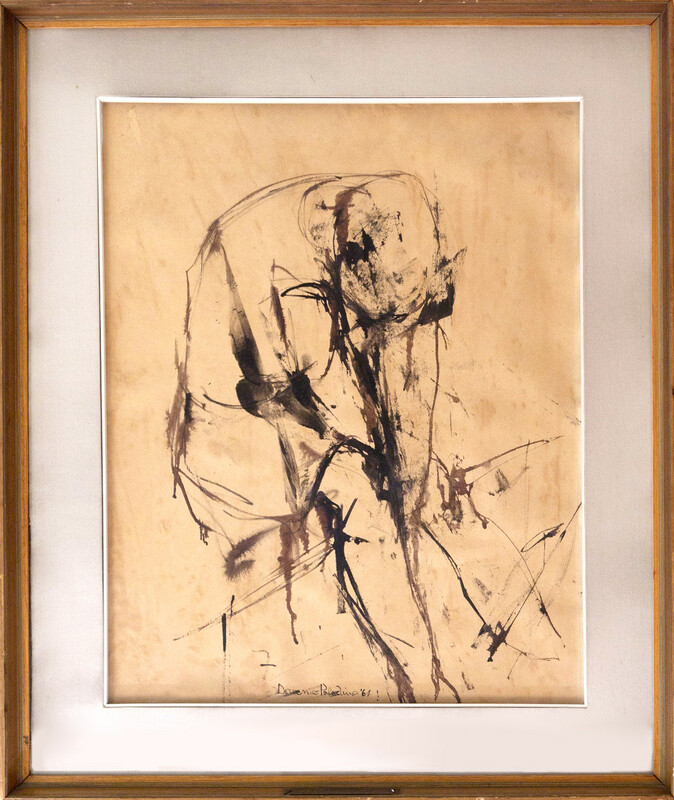 The Rome headquarters of Generali Italia in Via Bissolati contain various paintings entered for the INA-Touring Prize, including one by Domenico Paladino, who won in 1964 aged 16 with an Indian ink drawing entitled Figura. The young prize-winner was to become a leading figure in the Transavanguardia movement of the 1980s, so named by the art critic and historian Achille Bonito Oliva. Mimmo Paladino was the first contemporary Italian painter exhibited at the Beijing National Gallery of Arts. Mimmo Paladino’s drawing is now part of the vast artistic heritage of the Generali Group. The work is described in the volume entitled La collezione INA Assitalia, edited by Roberta Bernabei, published by Electa in Milan (2005).